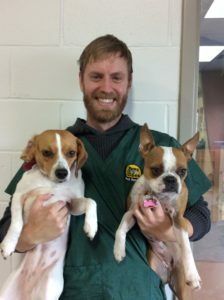 About: Glenn has a Beagle named Lucy and a Boston Terrier named Molly (though he wants to add more dogs in the future!) 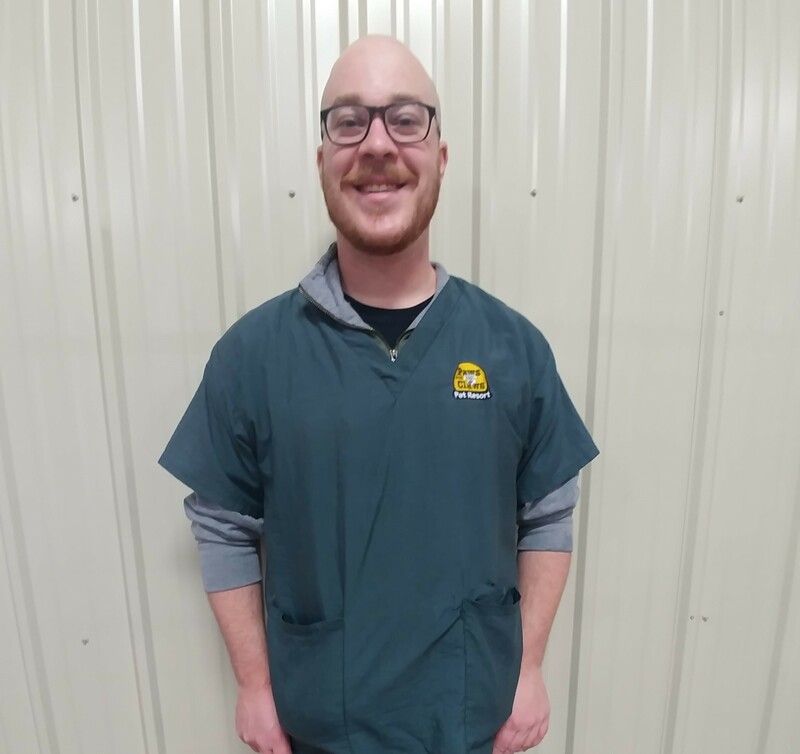 He has been at Paws and Claws for about a year. He is working to become a certified dog trainer. 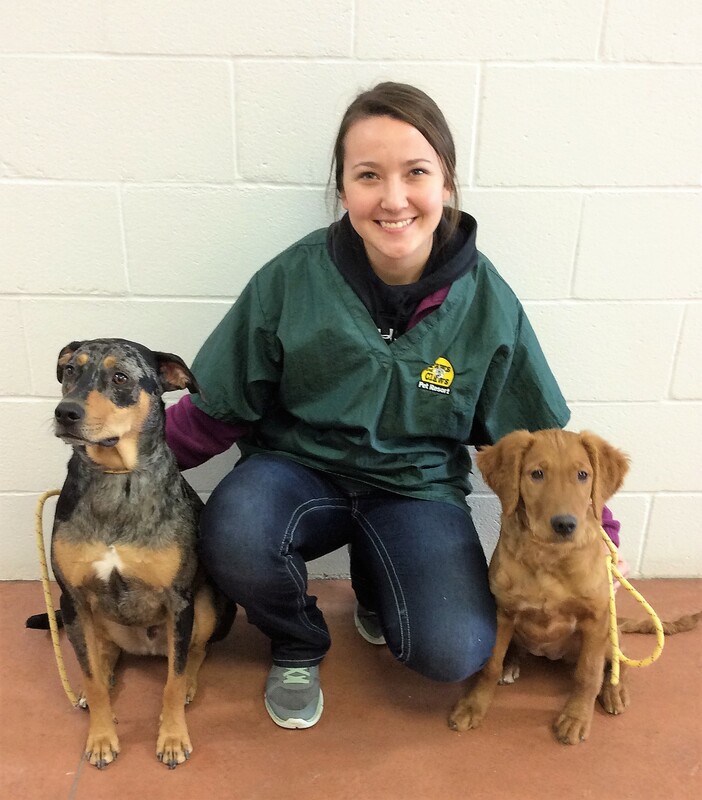 Favorite Part of working at Paws and Claws: The opportunity to grow in skills as a dog leader! 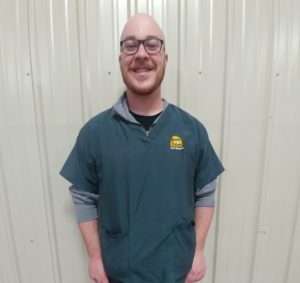 Free Time: He loves dog training, hiking, weight-lifting, boating, and canoeing whenever he can get on the water. About: Pictured with Dash, her Shepherd mix. She also has a Siamese cat named Snow. Melanie graduated with an English degree from UWRF, and is interested in getting her vet tech degree. Favorite Part of working at Paws and Claws: Getting to know all of the dogs and their owners! 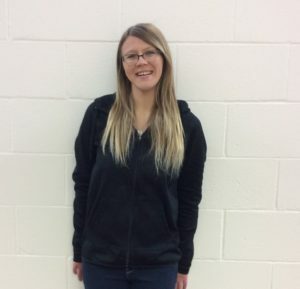 Free time: She enjoys singing, painting, watching TV, and spending time with her husband, pets, friends, and family. About: Adri has two dogs, Mya and Coco, and a guinea pig named Henry. She’s majoring in Pyschology and minoring in Animal Sciences, and she wants to work at or own a shelter! Favorite Part of working at Paws and Claws: Playing with the dogs and seeing their different personalities. Free Time: She likes kayaking, adventuring with Mya, and watching movies. About: Pictured with Beasty, a Paws and Claws favorite. Jolee has two cats at home, Keen and Kozo, both rescues. Favorite part of working at Paws and Claws: Being able to care for the dogs and knowing that she is helping take care of the “kids” for their families! 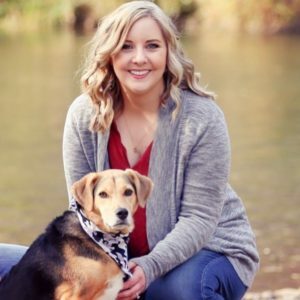 Free time: She is a volunteer at the Humane Society and a dog walker who enjoys playing with her kitties when she’s home. 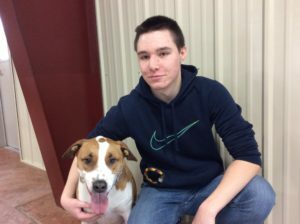 About: Pictured with his Boxer mix, Joplin. Sam hopes to be a chemist or a musician someday! 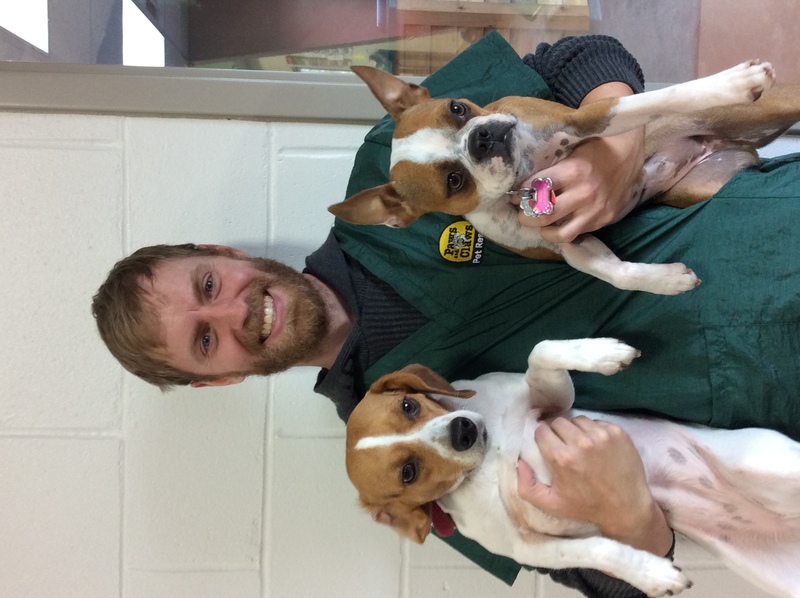 Favorite Part of working at Paws and Claws: Working with all the dogs, of course! Free Time: Sam enjoys playing music and playing with animals. 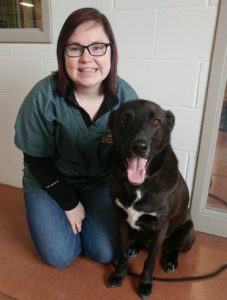 About: Pictured with her German Shepherd mix, Leonardo, she also has a Flemish Giant rabbit named Bean. She wants to own a Shiba Inu one day! 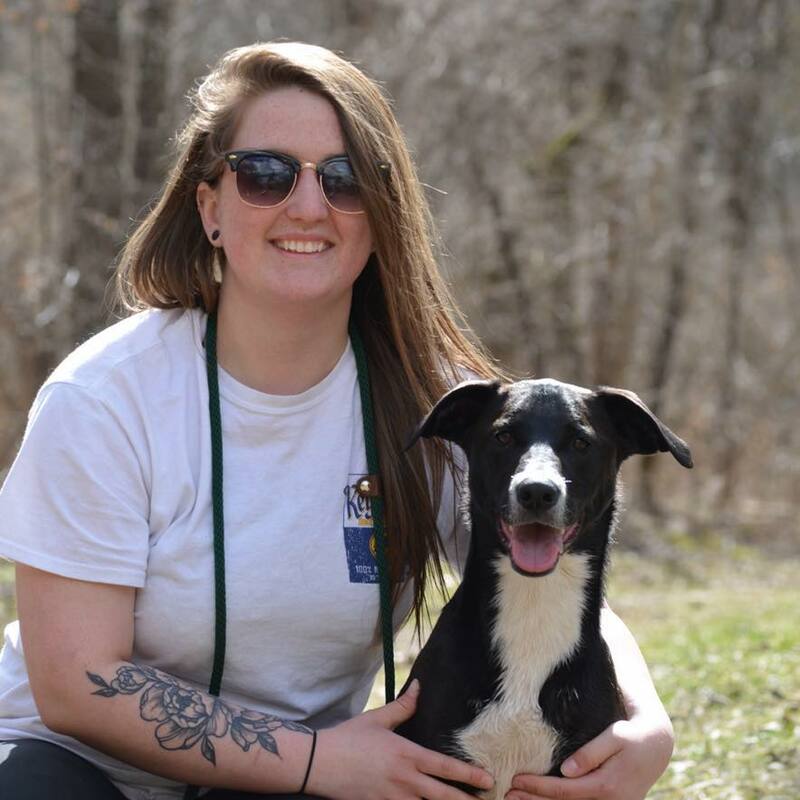 She’s working towards graduating from UWRF with a major in Animal Science and a minor in Conservation, and hopes to become a behavior modification trainer and own her own rescue. Favorite Part of working at Paws and Claws: The breed diversity and the friendly staff. Free Time: She likes volunteering to train service dogs, painting, reading, and watching Netflix. About: Morgan has two Maltese/Shih Tzu mixes, Max and Jack, and a Golden Retriever mix named Bella, and 4 cats. She plans on becoming a Vet Tech. Favorite Part of working at Paws and Claws: Being able to work with all different types of dogs! Free Time: She likes playing basketball, hanging out with friends, and walking her dogs. About: Francis has two Mastiff mixes, Chevy and Colonel, so there’s lots of drool! He hopes to get into voice acting for cartoons, movies, and video games. Favorite Part of working at Paws and Claws: Meeting all the dogs, and treating them like family! Free Time: He enjoys playing games, either board games or video games, with his friends. About: Riley has a mini-Sheltie named Savannah and a Lhasa Apso named Corey. She really wants to get a Newfoundland! 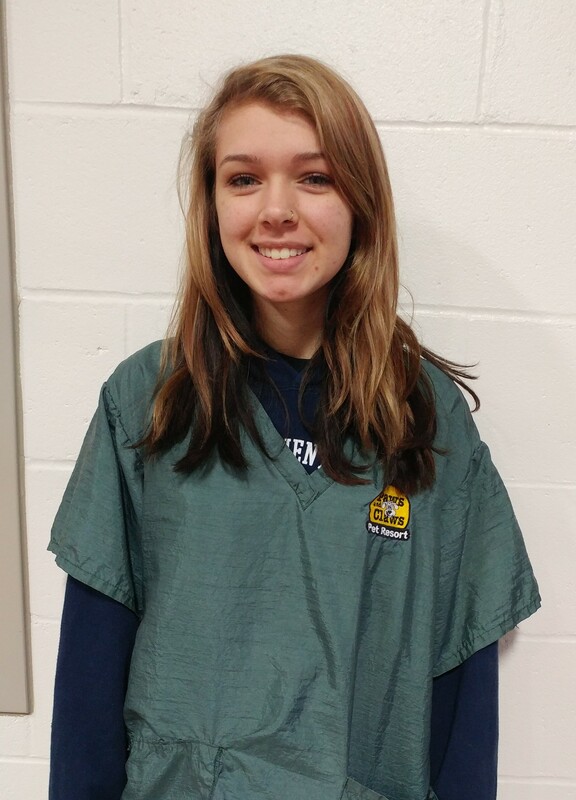 She would like to get her degree in addiction counseling, and hopes to get some experience grooming! 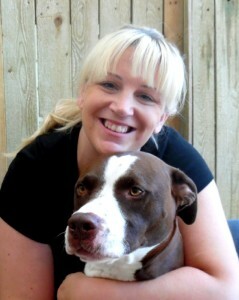 Favorite Part of working at Paws and Claws: The fun, happy environment and all the breed diversity! Free Time: Riley likes playing with her dogs and painting or creating art.